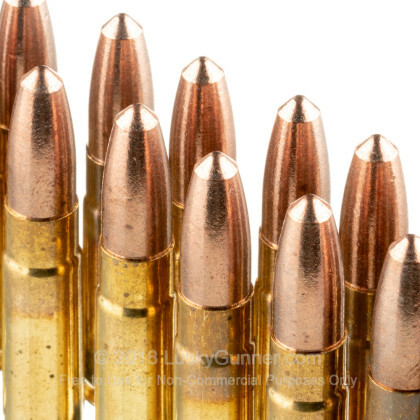 Magazine Note - PMAG GEN M2 5.56 Magazines not recommended for this ammo. PMAG 30 AR 300 B GEN 3 was optimized for 300 AAC Blackout ammunition. 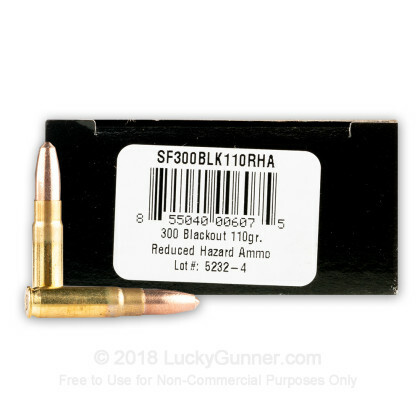 When you need something with more umph than the weak performance of the 223 Rem and the 5.56mm but still want to use your favorite AR-15 rifle, the 300 AAC Blackout is perfect for you. 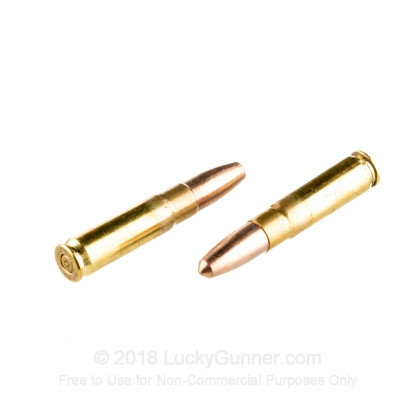 Whether you are looking for something to take down big game with, compete in a shooting match, or defend your family from any threat, this round is perfect for you with its increased range, much higher power, and incredible performance. Changing you AR to 300 Blackout is as easy as getting a new upper receiver! 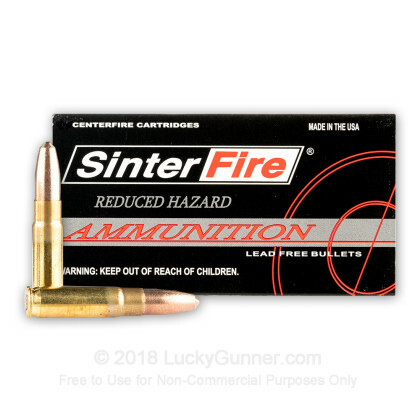 SinterFire is one of the most famous companies on the market in lead free, frangible ammunition. With their incredible innovation, you have everything you need to get some quality range time without damaging expensive steel targets, and are also a great option for use in 3-gun matches. 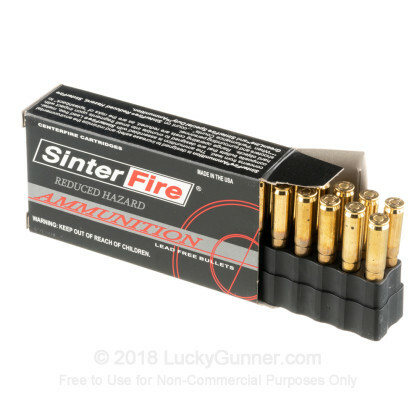 These SinterFire Reduced Hazard, 110 grain, frangible, brass cased, boxer primed rounds fire with incredible accuracy and are perfect for all your indoor and outdoor range training, and are even accurate enough to be used in your next shooting match. Sinterfire has notified us that using Magpul PMAG GEN M2 5.56 magazines (MAG571) with this ammunition leads to feeding malfunctions after running thousands of rounds through multiple platforms to recreate the issues customers have described. The Magpul PMAG 30 AR 300 B Gen M3 magazines are optimized for 300 AAC Blackout do not cause these feeding malfunctions after extensive testing. Have the exact same problem as everyone else. Round is slightly shorter than a normal 300blk out and jams every single time. Ejects spent round perfectly but will not pick up and chamber the next one. I have 500 rounds of absolute garbage now! Do not waste your time or money on this bs junk ammo!!! The ammo was great on steel. No ricochet and minimal need to clean up the barrel bore. Ammo fed easily through my hex mags and gen. 3 pmags, but did hang up in my gen. 2 pmags. It seems the guides at the top of the gen. 2 were catching on the profile of the bullet and not letting it release. Update on this product - Better results! I found a lighter buffer spring at Brownells which was labeled for 300 Blk Out carbine rifles and looked to be made with lighter guage wire. I purchased it and tried this ammo in the the same rifle that would not completely chamber a Sinterfire round previously! The rifle chambered a fresh round very well with the new spring, and only one round of 20 did not chamber with the recoil action! When shooting 123 grain rounds with the lighter spring in the same rifle, the spring almost felt overpowered but ran flawlessly. Another solution may be to add an adjustable gas block to allow more force to be generated with this lighter grained round. The Sinterfire rounds were consistent in function with good accuracy during this test. Does not Reload Fresh round! Ejects spent round just fine but will not load new round w/o jamming! It seems to work ok in grandson's 300BO pistol so will give him the rest of this stuff! Q: What is the actual velocity ? A: The velocity for this round is 2240 fps. A: I would not suggest using frangible ammunition for hunting. The bullet is designed to break up on impact before penetrating and may not create a wound sufficient to take down large game. 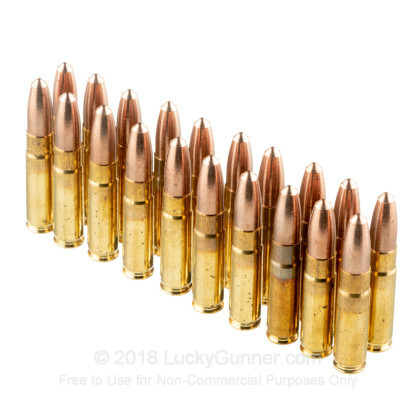 Q: Is this 110 grain 300 blackout ammo supersonic? A: Hello William, This 110 grain ammunition is loaded to supersonic velocities. Please click here for our current in stock specials on .300 Blackout!